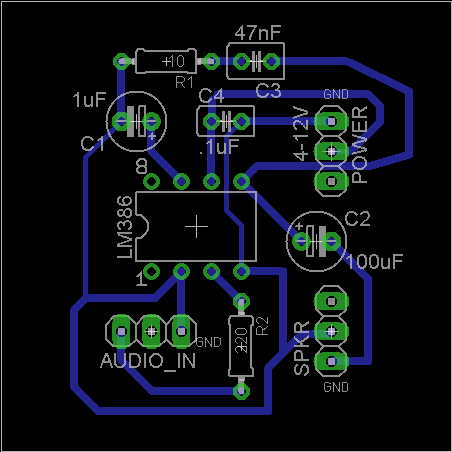 If you project needs small battery powered audio amp nothing beats LM386. It can work with voltage as low as 3V (battery powered) and provided pretty loud yet good quality sound. We are talking around <1 Watt of course, but it’s sufficient for most little gadgets and/or toys. And best part you build one for under $3. Instructions, part list and video after the break. 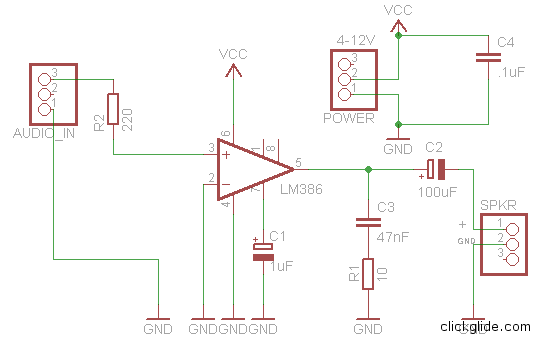 You’ll also need soldering iron, solder, some hookup wires and of course 9 Volt batter (or feel free to use other DC power source, as long as it’s 3V-12V). 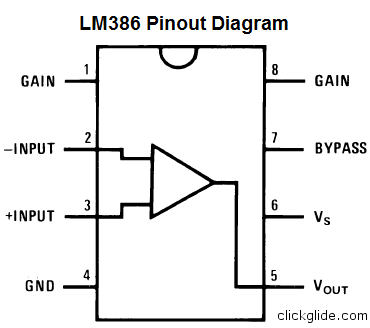 In my diagram I’m using 3 pins in each header while only 2 is needed. Reason is so it’s harder to connected plugs using wrong polarity. 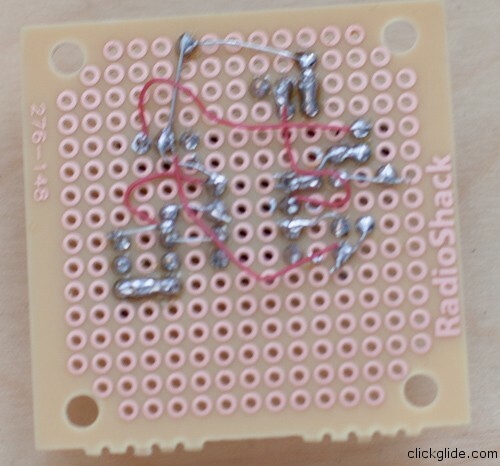 You don’t have to use any of the headers because you can just solder connectors directly. Especially battery terminal. Connect all grounds together. Pay attention to electrolytic capacitor polarity. As I mentioned earlier instead of 220 Ohm R2 resistor you can use 10K potentiometer (variable resistor) to control volume. I don’t have any pcb mounted pots so I just put regular resistor. You actually don’t really need one, but I think some MP3 players will detect if you plugged them if you have resistor in the input (I could be wrong). Here’s picture of the board layout I did in Eagle. 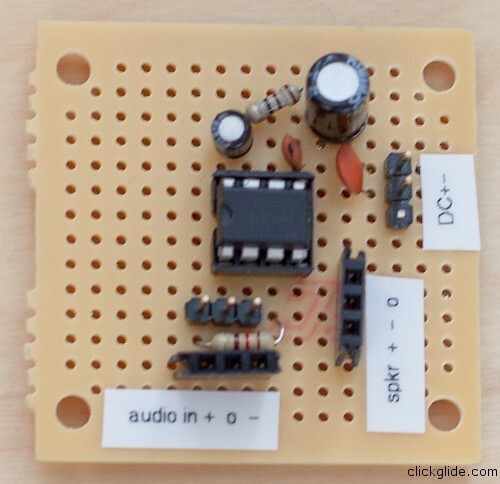 You can follow it to make your own traces with wires on perfboard.